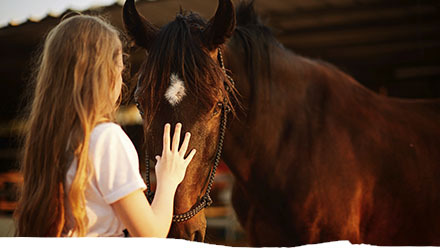 Our program consists of spring and fall visits where we get to know you and your horse. This relationship is vital in the event of an emergency or serious illness. 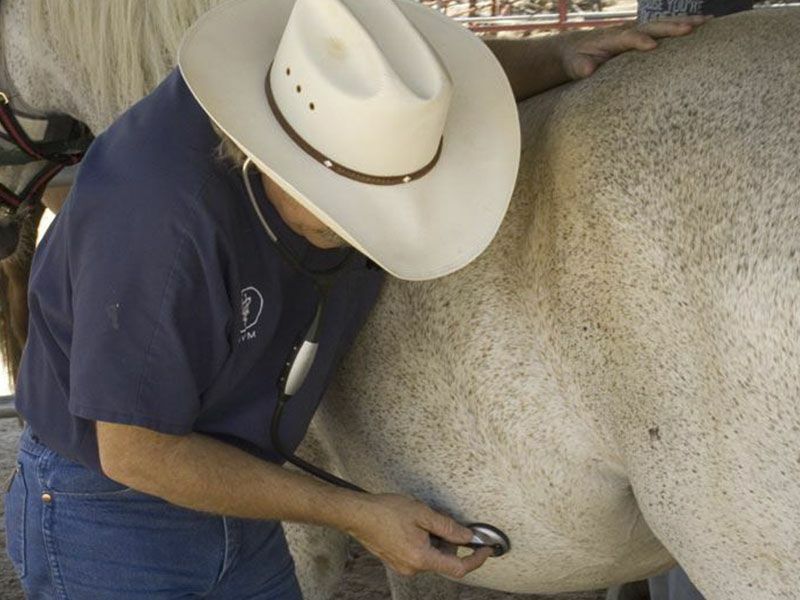 A thorough physical exam is performed where your horse lives. General body condition, body weight, mouth, eyes, ears, legs, feet, back, heart, lungs, and sand accumulation are evaluated. The feed ration is also reviewed. Seasonally appropriate vaccines are administered and parasite control is discussed. 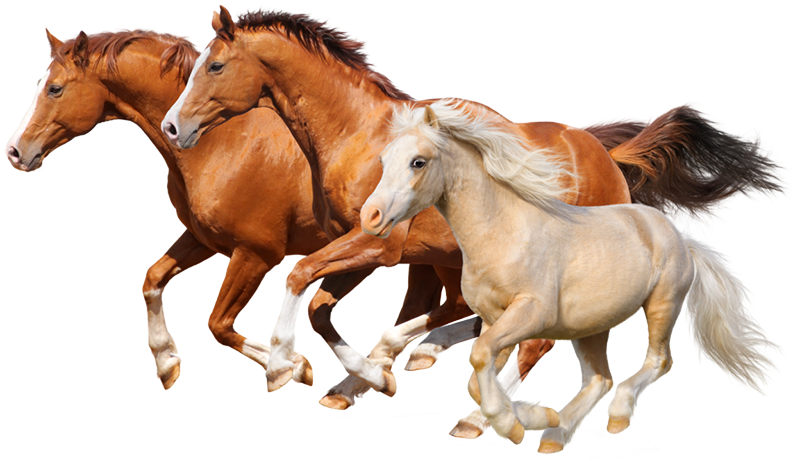 All findings and suggestions for management of your horse are discussed with you at the time of the visit. 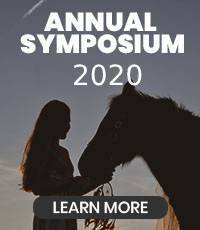 You will receive a written report that includes findings and suggestions to help you maintain your horse's health and soundness and keep your ownership experience joyful. At Reata Equine we understand the joy of caring for a horse. 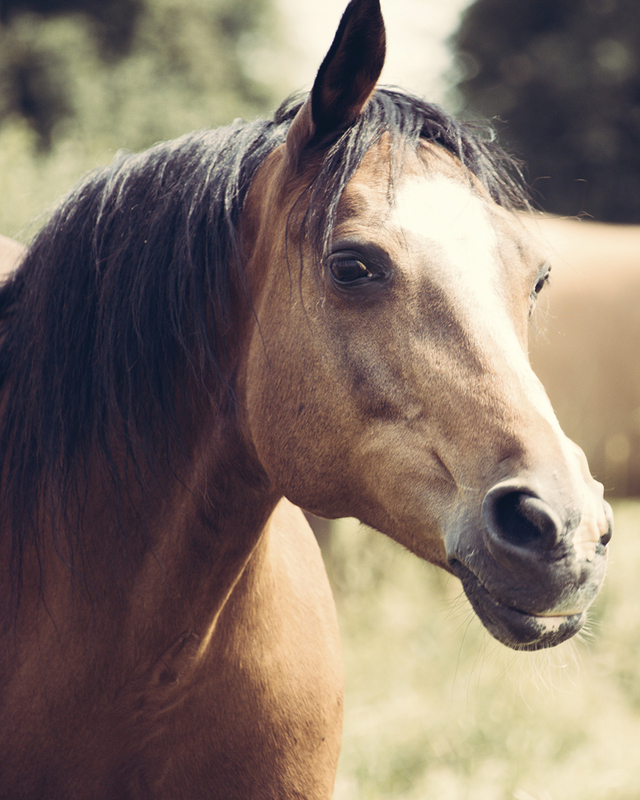 Our Wellness Program gives you the peace of mind that comes from knowing that you have a healthy and happy horse. Peace of mind in knowing you have taken the steps necessary to keep your horse healthy, pain free and protected from serious disease. 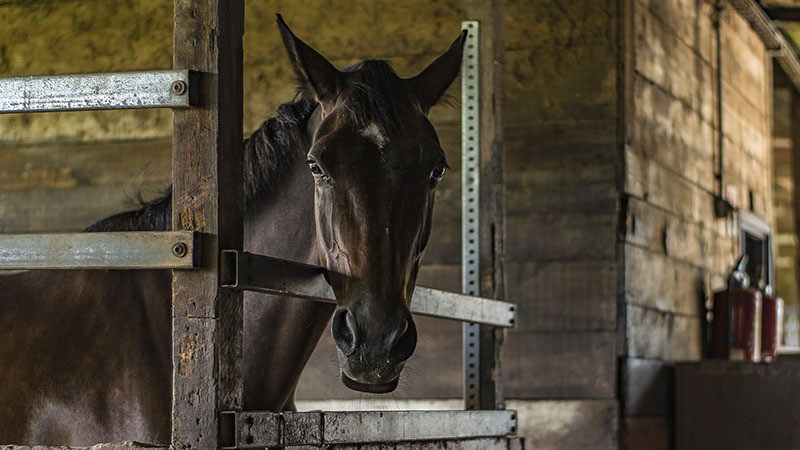 Colic prevention: we review what you are feeding your horse to be sure he is getting what he needs. We also ask about feeding practices; check for sand accumulation; take the steps necessary for parasite control and perform a dental check. We can do all these things in a few minutes and dramatically reduce the chance of your horse becoming sick with colic. 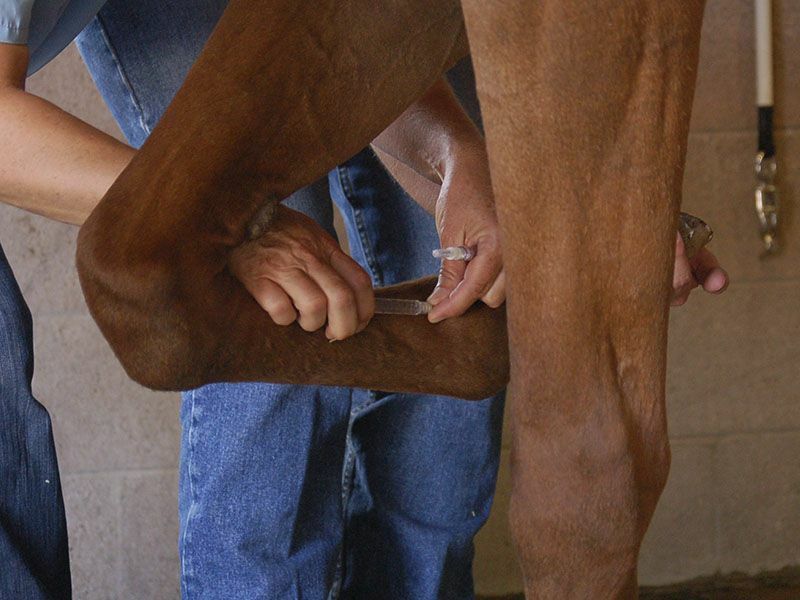 Lameness prevention: we want your horse to be pain free and performing happily. Sore feet, stiff joints, sore backs are common and often go unnoticed, making your horses daily existence painful. We check for these problems on each visit and when we find a problem we make recommendations for management. What we really like to do however, is prevent them from happening in the first place. This begins with proper hoof care and shoeing. Maintaining proper hoof balance is crucial in the effort to prevent lameness. We monitor your horses hoof balance on each visit and make recommendations for any changes that may be needed. 10% discount on Routine Blood Work. Protection from high emergency costs: if your horse is enrolled and in good standing* in the REATA WELL-CARE PROGRAM we will reduce the emergency call fee by $50 in the event that one of Reata's veterinarians needs to see your horse on an emergency basis. 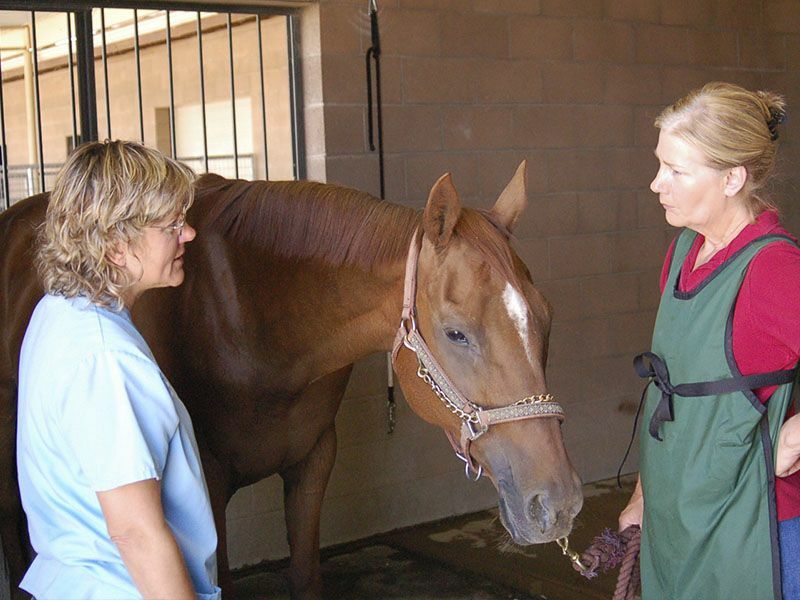 We provide twice a year visits to review your horse’s health and administer seasonally appropriate vaccinations. We get to know you and your horse, and give you the knowledge and tools to maintain your horse’s health and soundness. In the event of an emergency or serious illness our relationship can make all the difference. The Reata office will call you spring and fall to schedule your horse’s visits. We will make every attempt to accommodate your schedule, so you can be at the visit if you choose. 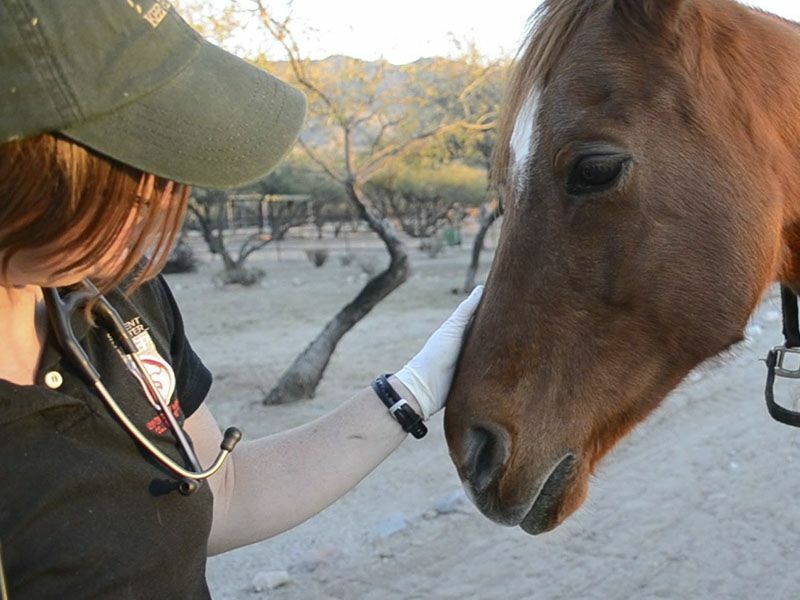 Reata has three equine veterinarians to care for your horse. You may request the veterinarian of your choice and every attempt will be made to accommodate your wishes. We do like to have all of our veterinarians become familiar with all of our patients and their owners in case someone other than your usual Reata veterinarian is on call when your horse needs a veterinarian. Joining our Wellness Program is a simple way to ensure your horse stays in the best possible health. Simply fill out the enrollment form and return it to Reata Equine Veterinary Group. 1. Payment at the time of the Wellcare visit is required. We accept Visa/Mastercard, CareCredit, check, and cash. If you cannot be present at the time of the Wellcare visit, please make prior arrangements for payment. 2. Your account must be current to qualify for any discounts offered under this plan. 3. The discount for Digital Hoof Balance Radiographs only applies to the Hoof Balance Radiographs performed during hoof balance month (December). It cannot be combined with any other lameness exam or radiographs. Payment is required at time of service. 4. The discount on dentristy applies to any dentistry procedure when performed during dental months of February and August. It does not apply to any sedation or other drugs used during the procedure. Payment is required at time of service. 5. The 10% discount for Routine Blood Work is limited to a complete blood count (red blood cell count with indices, white blood cell count with a differential count, platelet count), fibrinogen assay (measuring inflammation), serum chemistry (electrolytes, protein, liver functions, kidney function, muscle enzymes, TCO2). This test is drawn at the time of the Wellcare visit and only after the owner approves the test. Payment is required at time of service. 6. The discounts offered by this program are dependent on enrollment and the horse must remain in good standing. To remain in good standing the horse must receive the twice yearly examinations and vaccinations.